26 Feb Online Bill Pay Now Available! The Chestertown Environmental Committee engaged in a strategic planning exercise in November, 2018. Committee member Greg Farley led the exercise, using the Appreciative Inquiry method. The Planning Commission Meeting scheduled for March 21, 2018 has been cancelled. The Mayor and Council meeting scheduled for Monday, February 19th at 7:30 p.m. has been rescheduled for Tuesday, February 20th at 7:30 due to the Presidents Day Holiday. The Mayor and Council meeting scheduled for Monday, January 15th has been rescheduled for Tuesday, January 16th in observance of the Martin Luther King Holiday. The meeting will take place at 7:30 p.m. in Town Hall, 118 N. Cross Street. 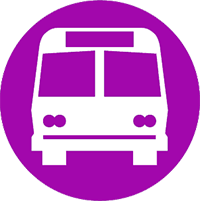 The Utilities Commission / Mayor and Council Meeting scheduled for Monday, July 3, 2017 has been changed to Monday, July 10, 2017 at 7:30 p.m. The Town of Chestertown wishes everyone a happy and safe 4th of July! 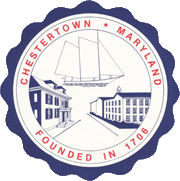 The Town of Chestertown has been advised that there will be no interruption to the regular trash collection over the Memorial Day holiday weekend. 08 Dec LETTERS OF SUPPORT NEEDED FOR MARINA! The Historic District Commission will now meet at 5:00 p.m. on the first Wednesday of each month.